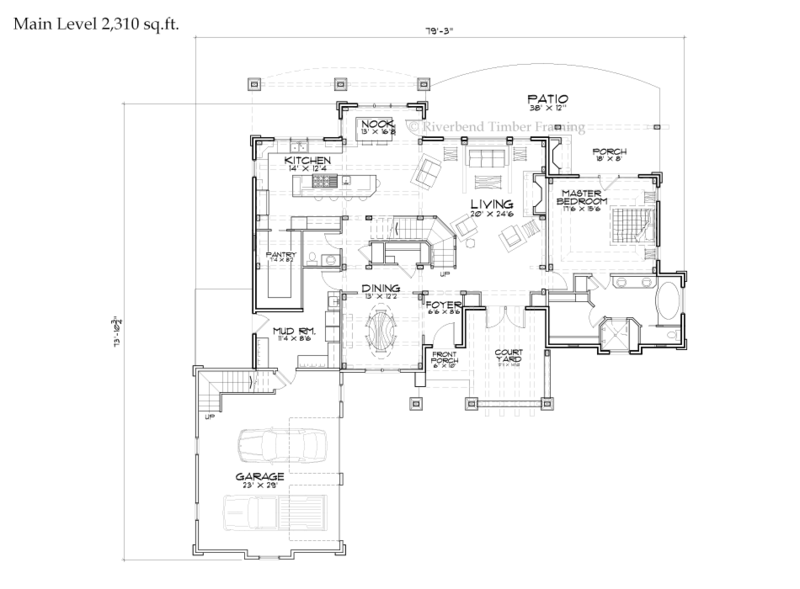 No two Riverbend home designs are the same. Whether you are looking at the exterior architecture or the interior layout, each plan has unique spaces that set it apart from the rest. 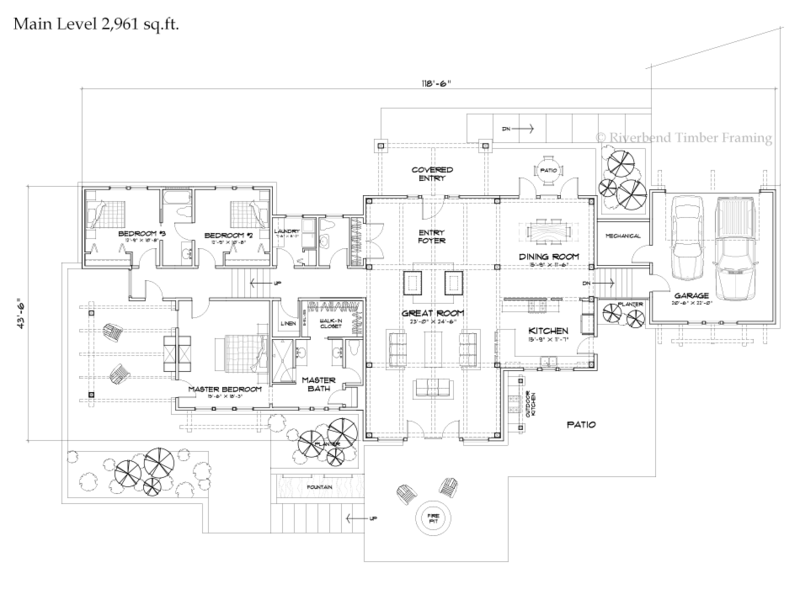 Here we showcase a few of our newer plans from 2012 that have exceptional, one-of-a-kind designs. 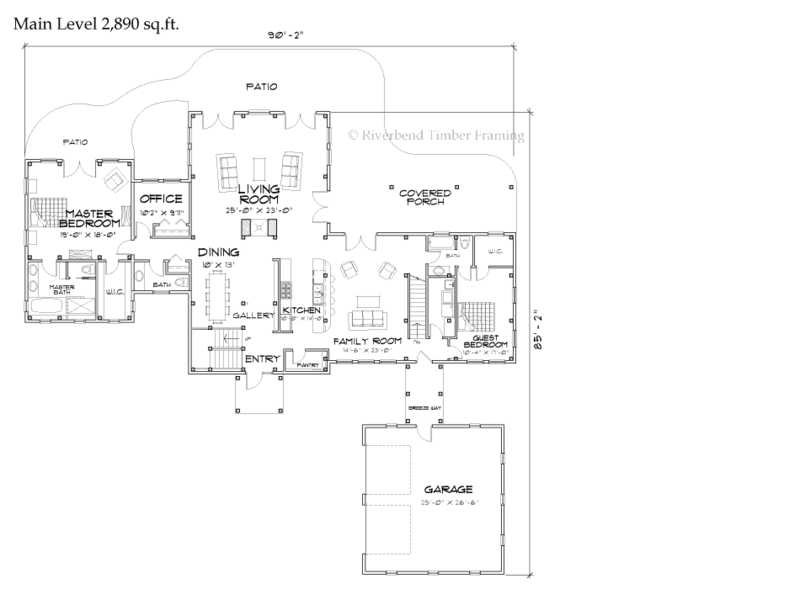 Explore these floor plan’s master suite, great room, kitchen, and outdoor living spaces and see if they spur your own unique spaces. Western-style architecture comprises the exterior of the Sonoma Hills, while the interior master suite showcases a functionally spacious layout meant to inspire your own master suite design. Located on the left side of the home, it is secluded from the rest of the living spaces by an entry hallway. In the bathroom, two walk-in closets are included as well as separate his and hers stations. Stepping into the bedroom, traditional timber beam work can be found above, as well as a dual-sided fireplace that connects to the adjacent main living space. Doors open to an extended patio that is also accessed by the great room, dining room and garage. A unique and spacious kitchen design created for large family gatherings, the Hickory Lakes offers plenty of space for a large, yet functional cooking station. With easy and open access to the living room, dining room and nook, it keeps the living spaces connected throughout the main level. An extended center island with a work sink and range allow for extra kitchen dining and socializing, while a walk-in pantry offers plenty of space for those longer shopping lists. Equipped with an open layout and creative use of clerestory windows, the Lancaster’s great room is a spacious and airy place to gather. The kitchen, dining, and family room spaces flow effortlessly into this large, windowed great room that is set up to receive panoramic views. With doors opening to a patio on one wall and ones opening to a covered porch on another, this great room extends its living space into the outdoors, for all-weather enjoyment. From its great room windows, to its open layout, the Bar Harbor is a home designed to appreciate the great outdoors. Stylistic planters and fountains add aesthetic décor, while private patios and fire pits give this concept’s outdoor living spaces ample opportunity for communing with the surrounding land. An outdoor kitchen, with room for dining is also found just off of the indoor kitchen, its inclusion is another way to increase the amount of activity that can be performed outdoors. 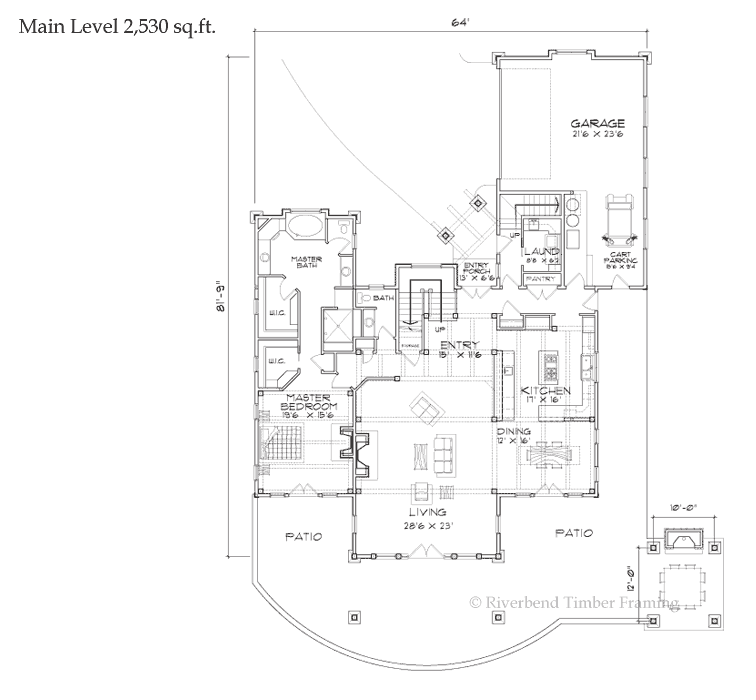 For more examples of engaging and dynamic floor plan concepts, visit Riverbend’s floor plans page.